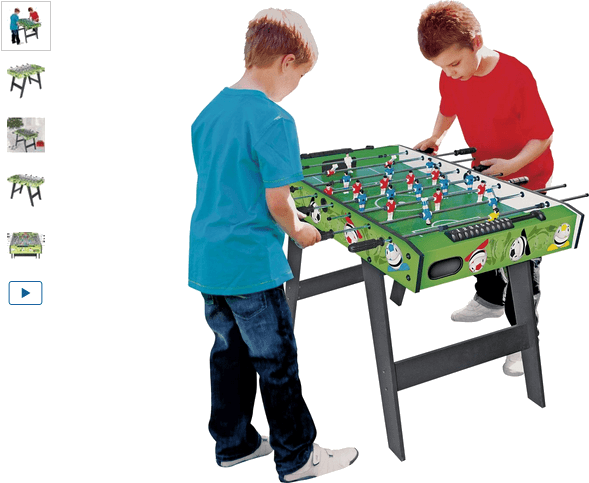 Chad Valley 3ft Football Games Table is the perfect size for kids to play with the friends and see who can be top of the league! You'll be amazed at how sharp the reaction of kids become after only a few games of play. They'll get so kid they'll likely beat the adults before long! Get money off with April 2019 free Argos voucher codes, see if there's a discount code for the Chad Valley 3ft Football Games Table product. 4.1/5 from 8 recent reviews.